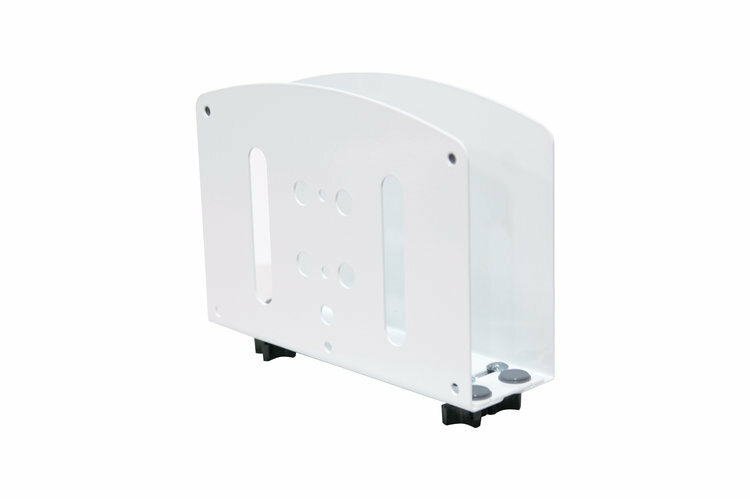 Adjustable CPU Holder: RC-CPU-21 | Altus, Inc.
Keeping your wall mounted technology safe and accessible. Secure and store your CPU holder to the track column at a height convenient to you and your team of clinicians. Installs directly on Altus’ Reach wall mounted workstation providing valuable space savings. Keep equipment cool and clean. This open face CPU holder will avoid overheating equipment even when used over long periods of time. Effortless access to cables, drives and cords. Off the ground, near-at-hand and out of the way. Wall mount within your reach. EMR technology groups recommend wall mounts for the benefit of hard wiring Wi-Fi near the patient making workflow more efficient. Altus has spent countless hours designing and engineering the most dependable, ergonomic and affordable workstation.